Owners and developers are driving demand for wellness features and practices—active stairways, biophilia, enhanced air quality, etc.—as one more way draw tenants. Last November, theMART in Chicago, whose 4.2 million gross sf over 25 stories make it the world’s biggest commercial building and design center, became the largest to earn a Fitwel 2-Star wellness rating, and the first to be measured under Fitwel’s Multi-Tenant Whole Building Scorecard for workplaces. The Center for Active Design, which launched its Fitwel wellness certification program in May 2016, developed the scorecard based on the interest of Vornado Realty Trust, theMART’s owner and manager, in impacting the entire building rather than just its owner-occupied areas. The wellness movement for commercial spaces, which came into focus four years ago when the International WELL Building Institute (IWBI) offered its WELL Building Standard, a performance-based certification program, has been picking up steam and acceptance in ways that resemble the early days of USGBC’s LEED program. This is especially true for the office sector, which at the close of 2018 accounted for 796 of the 1,265 buildings worldwide that were WELL-registered or -certified. Owner-occupiers are driving demand for wellness features and practices—active stairways, biophilia, enhanced air quality, etc.—as one more way to recruit and retain younger employees who are choosing to work in healthier environments. Spec office developers are boarding this train, too, to lure health-minded office tenants for which wellness might justify rent premiums. “The workplace goes home with you, and it’s your first chance to have an impact” on employee health, says Paige Pitcher, an Innovation Associate with Hines, the Houston-based real estate investment and development firm. As of late December, Hines had 15 projects and 14.2 million sf that were WELL-registered, including the 1.7 million-sf One Vanderbilt office tower under construction in Midtown Manhattan. “Our base standard is now the WELL standard,” says Adam Slakman, Hines’ Global Sustainability Manager. Hines has supported IWBI for several years and was a founding alliance member of its WELL Living Lab (tinyurl.com/yalatgbw), which studies how indoor environments can improve human health and wellbeing. “We pride ourselves on creating unique places to live and work, and today the appropriate focus is on people inside these spaces and how their health is affected,” says Charlie Kuntz, Hines’ Innovation Officer. Among the current buildings that JLL is leasing is the 53-story, 1.2 million-sf 150 North Riverside Plaza in Chicago, within which the 240,000-sf headquarters for Hyatt Hotels achieved WELL Silver certification. Improvements in air quality and lighting “were big factors” toward earning that certification, says Keara Fanning, LEED AP, WELL AP, JLL’s Vice President of Sustainability. 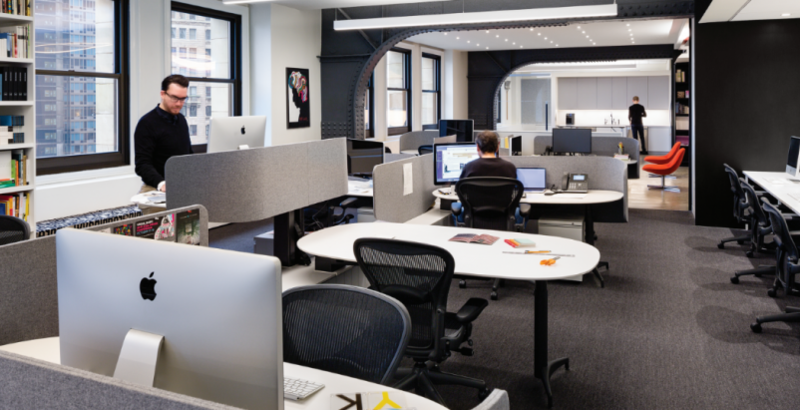 This space’s open office environment gives occupants choices in terms of noise and temperature levels. Its full-service cafeteria doesn’t have anything on its menu with more than three grams of sugar. The 428, a 60,000-sf five-story office building in St. Paul, Minn., is developer Commercial Real Estate Services’ first building to pursue both WELL and LEED certification. Among the building’s features is a large outdoor patio space. HDR was the project’s designer, McGough Construction the GC. Photo: Kirk Monpas, courtesy HDR. Up until mid-2017, DPR Construction had been getting requests from clients for information about wellness once every six months. Now, those requests are “often and frequent,” says Christopher Gorthy, Project Executive with DPR, in Washington D.C. “Once there were a few successes, the fear factor went away.” DPR currently is building at least six office projects that are pursuing wellness certification. Other AEC firms confirm that more of their office clients, be they prospective tenants, owners, or developers, want wellness to be part of their amenity packages. Why the sudden spike in demand for wellness? The answer can be found in the mounting evidence corroborating the relationship between healthier and more productive workplaces, and the broader industry and public exposure this research is getting. 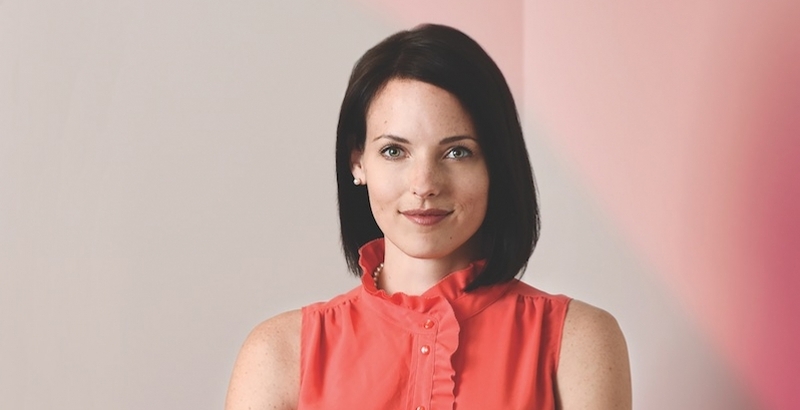 “The shift over the past two years has seen developers go from asking ‘What’s the ROI for wellness?’ to ‘How can we help them quantify it?’” says Rachel Gutter, IWBI’s President. Gutter points to a handful of case studies and research papers on wellness’s benefits. Most prominently mentioned is a white paper released last year by stok, the global real estate service provider, that scrutinized the body of available wellness research to calculate the hypothetical financial benefits, in dollars per square foot and employee, to owner-occupiers and tenants that invest in high-performance buildings (tinyurl.com/yd68gvpo). Another touchstone is a peer-reviewed paper from a few years back that assessed the cognitive powers of 24 participants—architects, designers, programmers, engineers, creative marketers, and managers—who spent six full workdays in an environmentally controlled office space where they were exposed to varied indoor air quality and ventilation conditions (tinyurl.com/ya4sq8z3). The study found that, on average, participants’ cognitive scores were 61% higher on so-called “green building days” (when low concentrations of VOCs were present) and 101% higher on days when the air ventilation was highest (so-called “Green+ days”). Boston Properties is in the process of having six million sf within its portfolio certified under Fitwel’s protocols, including four buildings within Embarcadero Center in San Francisco, and two buildings in Boston: 200 Clarendon Street and the Back Bay Station office tower. Myers identifies air quality and thermal comfort as the “pillars” of office wellness. His company has a quality management program with Healthy Buildings, a Los Angeles-based company that monitors and maintains a building’s air and water quality. Like many other developers and property managers, Boston Properties has a portfolio-wide program that mandates the use of nontoxic cleaning products. “For developers, wellness is really a very simple responsibility,” says Nancy Moses, a Vice President with the developer Trammell Crow. One of its projects under construction is Vermont Corridor, the 468,000-sf Class A future headquarters for the County of Los Angeles Department of Mental Health and Workforce Development, Aging, and Community Services. Vermont Corridor, which is also registered with LEED, is Trammell Crow’s pilot building conforming to WELL’s standards. The tower’s features include a stairwell between floors that encourages use by employees, a strategic acoustic plan that demarcates loud and quiet spaces, a health and wellness awareness library, easy access on each floor to drinking water, healthier food alternatives, and a greater focus on thermal comfort. Each workstation will have its own lighting control, and the building’s 35,000-sf floor plate will let in natural light. Moses elaborates that instead of installing a costly circadian lighting system, Trammell Crow opted for “path lighting,” where all of the workstations are against the curtain wall. 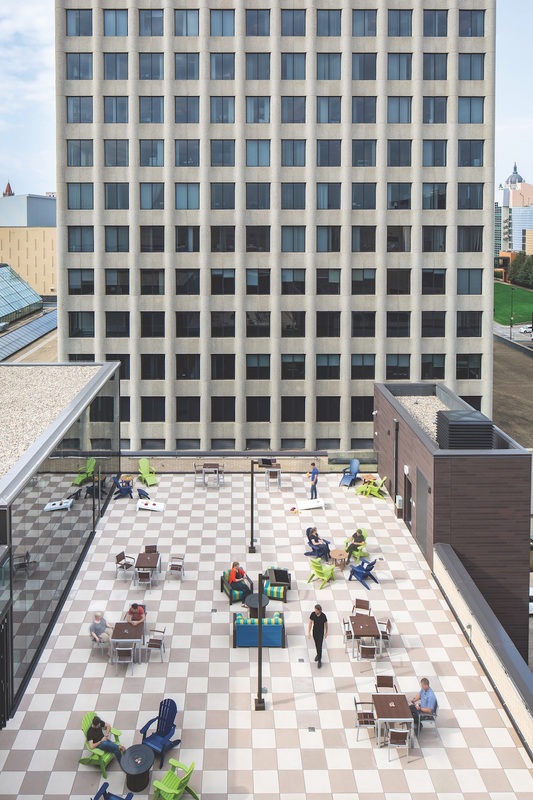 In St. Paul, Minn., The 428, an adaptive reuse of a 74,224-sf former Woolworth’s building to 60,000 sf of new office space within five stories, opened last September. The 428, designed HDR and renovated by McGough Construction, is the first building within the developer Commercial Real Estate Services’ (CRES) seven-state portfolio to pursue both LEED Silver and WELL Core & Shell Gold certification, the latter of which it achieved in December (one of only 19 buildings in the U.S. to earn that status). “We wanted to create a building with a purpose,” says CRES President Patricia Wolf. Her firm was particularly attracted to the pedigree of the WELL certification program, which focuses on seven wellness areas—air, water, nutrition, light, fitness, comfort, and mind—to achieve performance levels “that make a difference,” she says. The 428’s wellness features include exterior glazing (which replaced brick façade) that lets light deep into the tenant space (the floor plates are 11,500 sf); a floor-to-ceiling glass connection between the rooftop patio and occupiable space for coworking; a front-and-center staircase that provides an alternative to riding the elevators; refiltered city water; and bike storage and repair stations. As they incorporate wellness into their projects, developers are still weighing its return on investment. They are certainly more open than ever to data that quantifies how adding wellness features and practices to office buildings translates into healthier and more industrious employees. “Wellness brings HR into the conversation in ways that sustainability does not,” observes JLL’s Fanning. But figuring out wellness’s dollar return in an office environment is difficult, primarily because its benefits, in terms of sustainable employee health and improved productivity, are best measured over time. The investment “thesis” for developer Carr Properties—which has four projects registered under Fitwel—is to provide the same or slightly higher rate of return to its investors for the incremental capital required for wellness improvements. That calculation, however, “can be tricky,” says Jason Bockenek, Senior Director of Development with Carr, “because it is not possible to judge exactly” the value created from faster lease velocity or lower concession packages resulting from the wellness investment. 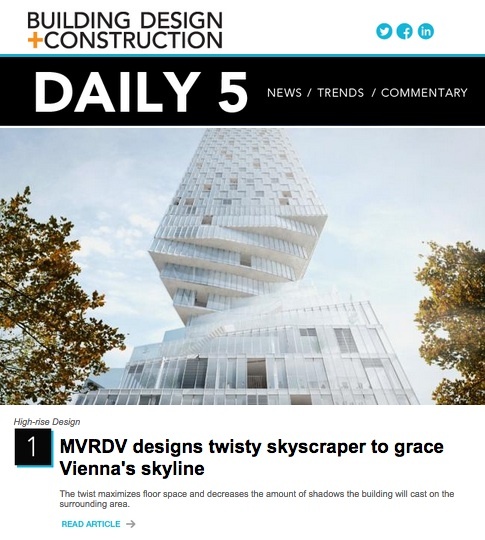 Design firm HDR has developed a health and wellness tool, using Rhino and Grasshopper, that can “score” a project for wellness. But the firm’s research group has cautioned its business development and marketing teams not to make promises about financial gains, because “it’s not a one-to-one correlation” between spending and benefits, says Colin Rohlfing, AIA, LEED AP, HDR’s Vice President and Director of Sustainability. Rohlfing equates gauging the ROI of wellness to the early days of energy modeling, except that “wellness is more of a moving target,” with all kinds of variables—like occupants’ age and personal habits—that can impact data and results. Los Angeles-based REIT Kilroy Realty has 13 buildings that are Fitwel-certified. In 2017, it started construction on its first project to demonstrate the value of WELL’s standards, a $450 million, 680,000-sf office campus in San Francisco’s Mission Bay, which Dropbox has agreed to lease. But Sara Neff, Kilroy’s Senior Vice President of Sustainability, is not a big proponent of assessing wellness’s value by its investment return alone. “We in the sustainability community did ourselves a disservice when we said that everything should have an ROI,” she says. Even as more developers make wellness part of their planning, construction, and marketing strategies, just how deeply will they delve into this trend to attract new office tenants? “They want wellness, but are they willing to pay for it?” asks Peggy Bennett, LEED AP, Director of Commercial Interiors with Hoefer Wysocki Architecture. 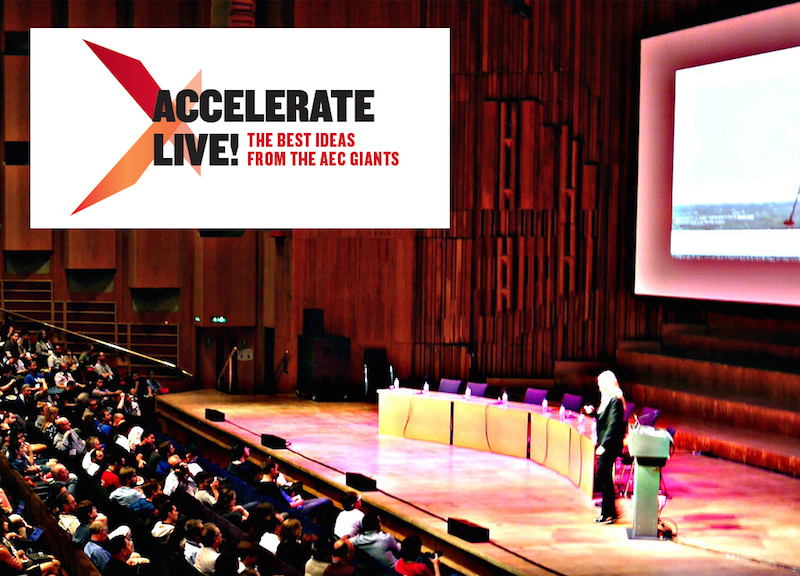 AEC sources—particularly architects and designers—lean toward the argument that wellness more than pays for itself over the lifespan of a building. But the pricier upfront costs associated with wellness can’t be minimized, either. The National Real Estate Investor, in a 2017 story about the value of wellness certification (bit.ly/2SoVICp), reported that Hines spent an extra $10 million to install a system within 609 Main, its 48-story, 1.1 million-sf office tower in Houston, that provides each employee with personalized temperature control around their workspace. Most experts still see circadian lighting controls as luxuries. And to meet the rating systems’ recertification requirements, developers or owners must continually invest in monitoring and maintenance in order to validate their buildings’ indoor air and water quality, and to substantiate employees’ satisfaction and performance. Myers of Boston Properties notes that in buildings with wellness features, the “amenities composition” might include fitness, which could add costs for extra plumbing, HVAC, and maintenance. Better indoor air quality usually requires higher-grade MERV filters. His firm also considers leaving room in projects’ budgets for carbon filtration. Other sources suggest that there are cost-neutral ways to incorporate wellness into office buildings. For example, the wellness “premium” for DPR’s office in Reston, Va., was only $75,000 on a $6 million project, says Gorthy. “It’s kind of neutral,” says Dan Peddicord, Group Leader with Pepper Construction, about adding wellness features. Pepper’s recent projects include a two-story addition to and renovation of a 24,000-sf bakery in Indianapolis for Clif Bar, the energy bar maker. The design of this $7.4 million project, by CSO Architects, “has a large biophlic component,” says Peddicord, and lots of landscaping that employees can look out onto. The campus includes walking trails and patios, and a staircase inside that doubles as a meeting area. 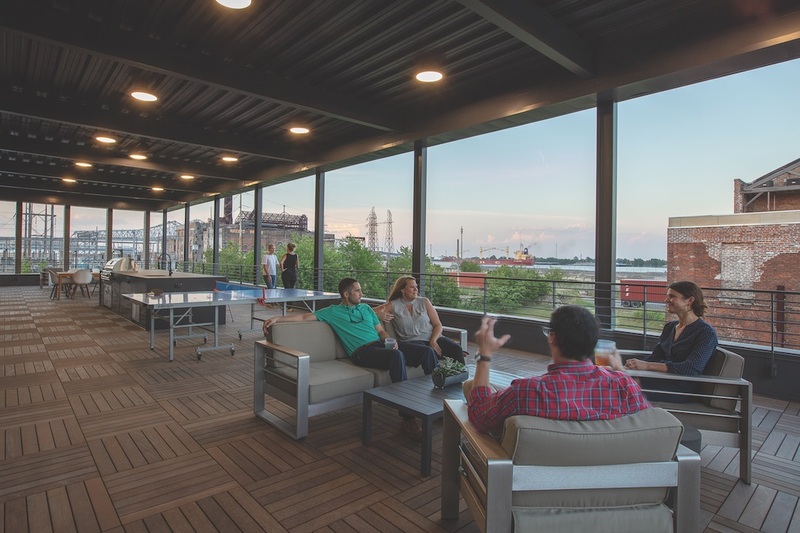 In New Orleans, general contractor Palmisano Group recently moved into a new office building that includes an outdoor terrace overlooking the Mississippi River, an in-house gym and yoga studio, and an active stairwell and racetrack layout. Eskew+Dumez+Ripple designed the 30,200-sf office on two floors. Photo: Neil Alexander. WILL WELL FOLLOW LEED’S PATTERN? If, as expected, more developers and owners embrace wellness, how important will certification continue to be? Is wellness destined to take the same route as LEED, whose certification regimen many developers and owner-occupiers choose to skip for reasons of cost, paperwork, or because many LEED measures are now engrained in building codes and practices? 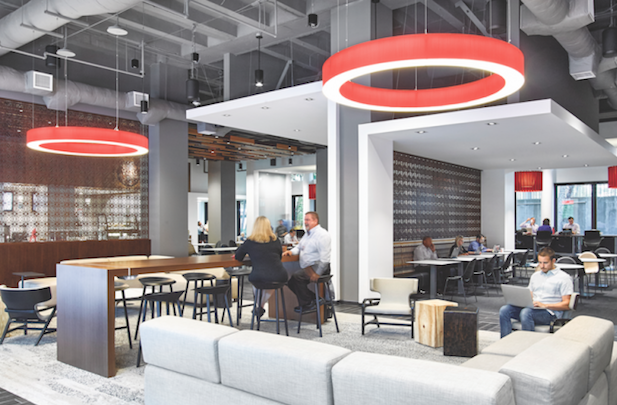 Myers of Boston Properties sees WELL and Fitwel certification as being like badges that show a third party validated a building’s performance. But as wellness—like greenness—becomes more of a standard for such things as indoor air quality, he expects developers like his firm will become less dependent on certification. About 5% of Clark’s active projects are pursuing wellness certification, “and many of our clients are prospecting,” says Arias. Certification, he adds, “creates a runway” for employers to achieve their goal of improving workforce productivity. Regardless of how many buildings ultimately get certified, most industry and development sources are convinced that wellness will expand as an important factor in office design and construction, especially as more data is available about the impact of workplaces on employee health. But none of this happens without occupant buy-in, says Moses of Trammell Crow. And there are still plenty of office developers/owners that are indifferent to wellness. IWBI’s Gutter calls them “the laggards,” and concedes that the wellness raters must do a better job at winning them over. For one thing, she acknowledges that wellness standards are easier to achieve in new construction than in existing buildings. “We have to figure out solutions for developers’ entire portfolios so they can scale their impacts,” says Gutter. She also thinks that the rating programs need to demonstrate value beyond statistics. “The science alone isn’t going to be enough; we need to make a people-centric argument,” says Gutter.